Note: The Peacock Moraea or Moraea Villosa used to be prolific in mass spring flower displays of the Cape lowlands. This very attractive flower has now lost more than eighty per cent of its habitat to wheat fields and urban expansion, and only a few populations remain in isolated renosterveld fragments. This plant is classified as vulnerable. It is a large flowered species that is easily cultivated in deep pots or raised beds and rock gardens. These plants also require regular deep drenching throughout the growing period. Colour: The three large outer tepals of Moraea Villosa can be various shades of purple, lilac or pink. Flowering time: Spring to mid summer (In South Africa Moraea Villa flowers from August to September and the flowers last several days. Foliage description: Evergreen. The flowers are held on held on upright stems. Stems are soft and hairy. Plants have a single, narrow, hairy leaf which is attached near the base of the stem. The leaf is normally as long as, or often longer than the stem. Watering: Do NOT water in summer. Requires consistently moist soil; do not let dry out between waterings. Propogation: By dividing rhizomes, tubers, corms or bulbs (including offsets). 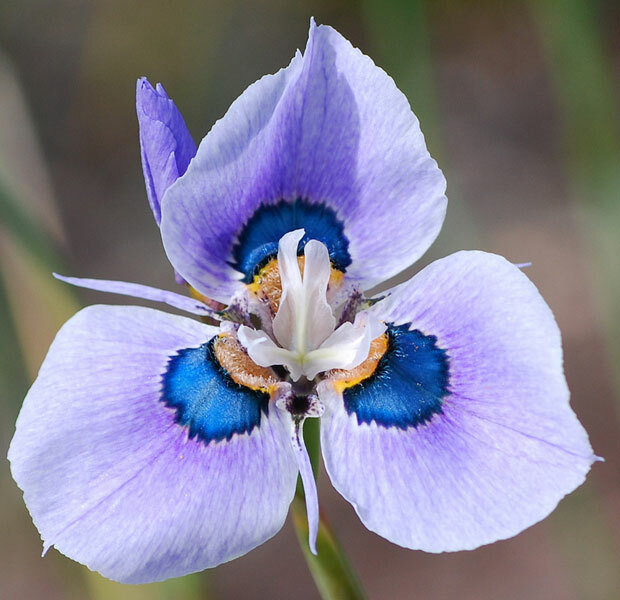 Other notes: Moraea villosa is found on stony granite and clay slopes and flats in the winter rainfall area of the Western Cape in South Africa. Moraea Villosa can be purple, lilac, sometimes pink or orange or even cream or white with yellow nectar guides on the outer tepals outlined in broad bands of dark color. I acquired a few bulbs of Moraea Villosa and planted them in April 2011. Await bloom time! Moraea villosa subsp. villosa is classified as Vulnerable due to its restricted range, few remaining populations and declining habitat. References: PlantzAfrica, Daves Garden, Pacific Bulb Society.